2015 marks the 150th anniversary of the incorporation of the Village of Crotty, known today as Seneca. This village has left its mark on America by serving as a thoroughfare for the I&M Canal, railroads, and Illinois River traffic. The land surrounding Seneca is some of the most productive agricultural land in the country, supporting a strong farm economy and agribusiness. 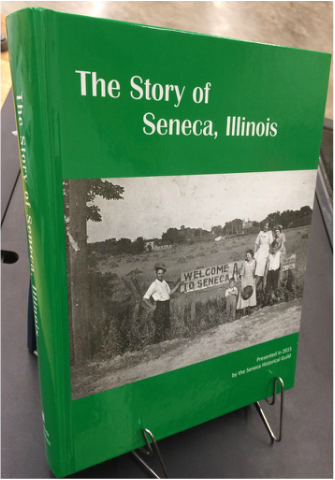 The Seneca Historical Guild is proud, enthused, and excited to present “The History of Seneca, Illinois!” This book, which will feature many pictures and family biographies and will be a “must own” for anyone who has a connection to this peaceful place in the Illinois River Valley. A book about the community: written by the community.